Our professionals have extensive experience with wedding gown cleaning and preservation. 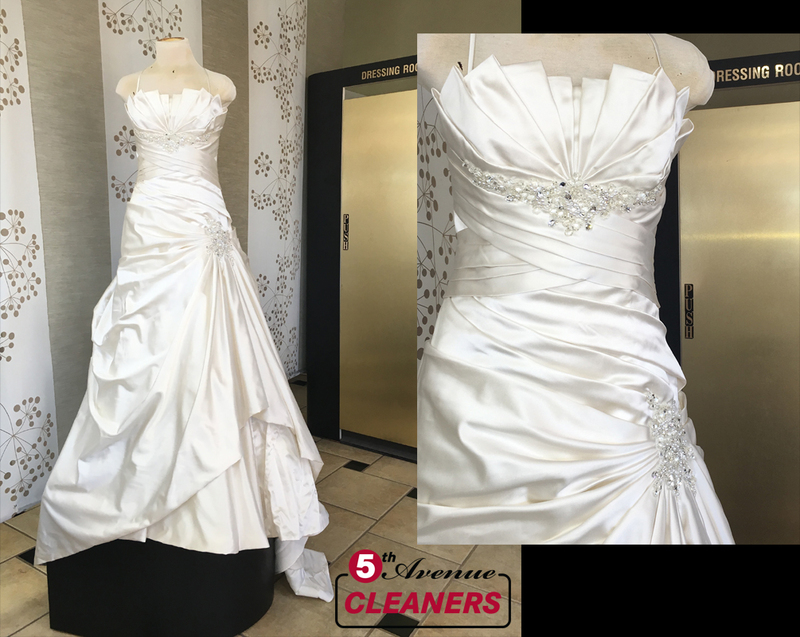 We have cleaned a variety of different wedding gowns, ranging from simple, sleek gowns to more complex, delicate, and heavily soiled ones. After your gown has been professional cleaned, we carefully place it in an acid-free liner that prevents your gown form yellowing. It is then placed in an acid-free box that offers extra protection and allows for easy transportation and storage. Our goal is not only to preserve your gown, but to also preserve your memories. We promise to be in constant communication with you during each step of the cleaning and preservation process and to answer any and all of your questions. Your satisfaction is our priority!